Well I have began to undertake a major cleaning and reorganization of my shop. I have a number of goals that I want to accomplish in doing this, the main one is to fit my two newest additions (thanks to my wonderful wife and inlaws), I have a new Planer/Jointer and a dust collector that need space. So I have began with a few simple projects, my theory is they will help me whittle down my biggest project which is excess scrap wood I need to deal with. 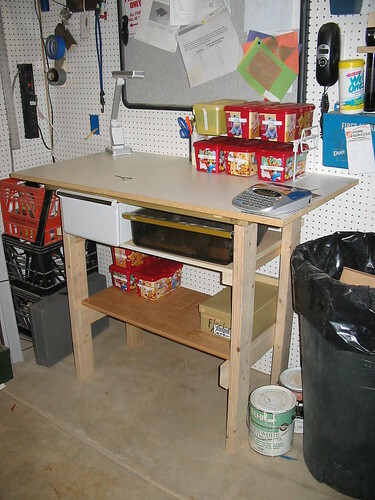 The first task was a finishing area as I had stuff spread all around the shop prior to the holidays. 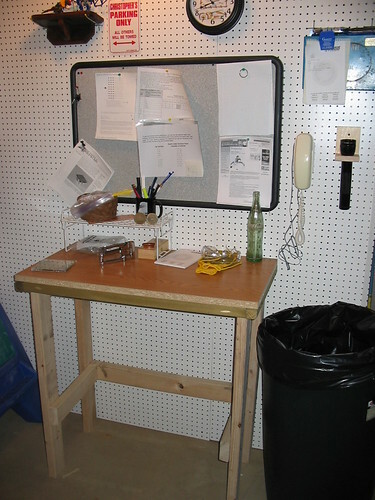 I decided since my offic is now finished nearby I would not really need the shop desk I first built. So I ripped the small top off and added a scrap laminate piece and shelves from mutiple other scraps and go this. The light was also a gift from my wife. Its an Ott light and man does it light up that desk. Should really help with checking finishes. One of my major goals is to not treat this as a collection place for stuff. 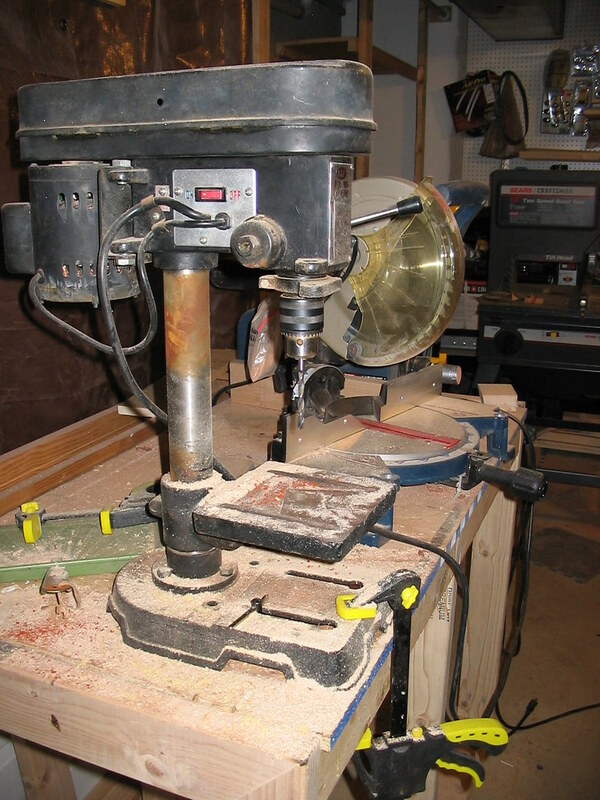 The second undertaking is to repurpose my rolling table into a benchtop tool center. I have been using it as such recently but it is really disorganized. I have started on this but there is much more to do most notably add storage. The first thing I did do though is create myself some miter extensions. I have been wanting to do this for a while and finally broke down. It has given me a quick storage space for my miter clamp. They are just made from OSB like the table top and kreg screwed together. I will be attaching them to the table top once I get evrything in place where I want it. 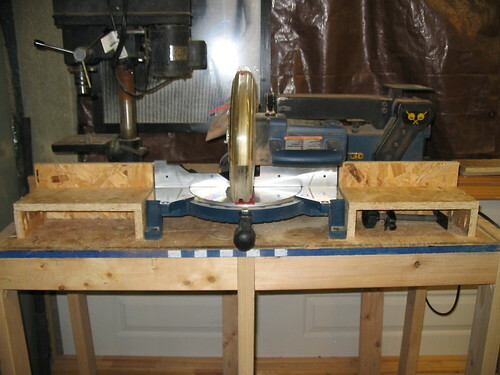 The table nicely holds my Miter saw, Sander, and a drill press. So I am planning to make storage for all my drill bits as well as some other smaller tools. I am looking forward to working on various things throughtout this quest to further my skills. Good luck on the re-org. I think we all dream of a bigger shop. I downsized the last move and am regretting it. Looks like a great start and some good tools. Thanks All, more to come in the series as soon as I can get back into the shop.